What is the right music school for you? 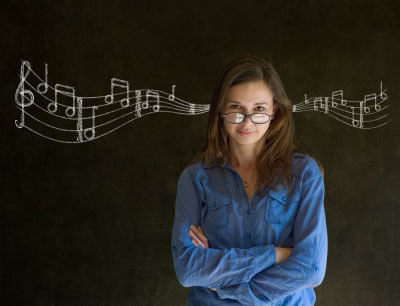 So maybe you are thinking about being a music major in college – you might want to be an elementary school music teacher or a music therapist or a concert pianist. Deciding what you want to do might be the easy part but deciding where you are going to study might be a more difficult decision. Here are some thoughts on how to choose a music school. Choosing a music school is a big deal not only because it is going to consume your life for the next four years (or more) but because it costs a lot of money! When you read all the brochures and websites about the music schools out there, they all sound great! They all sound like they have the best programs and that with their training you will become the best…teacher, performer, you fill in the blank. But you should not choose a school just by what they are telling you in their shiny advertising. First of all, ask your current music teacher what schools they recommend and then plan to visit them. But not just a visit where you get a campus tour and get to speak to an admissions officer. Call the music school and ask to shadow a student for an entire day or two. See if they can accommodate an overnight stay in the dorms. 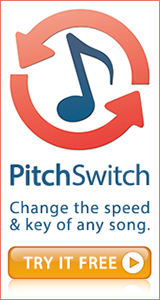 Arrange to take a free lesson with the applied teacher you are interested in working with. (That private lesson is probably going to be the most important thing you do if you want to be a performer.) Go to the classes and meet the professors that you could potentially be studying with. You will get a real sense of the program by experiencing it yourself and by hanging out with the students. They will always tell you the real story! Most students want to go to music school because they want to MAKE music. That means that they want to perform in some capacity – either solo or in ensembles. When you are looking into a school, find out how many ensembles that they have that you would be able to perform in with your instrument. Are there select groups, chamber groups, community groups? How many opportunities will you get to perform solo works in studio or department recitals? What are the chances that you will be able to perform in some of the bigger ensembles as a freshman and in what capacity. For instance, if you are a hopeful opera singer, chances are you will not have an opportunity to sing a role in the opera as a freshman or maybe even a sophomore if you are in a school with a graduate program. If you are a pianist, you should ask about the chance to accompany singers or instrumentalists – that actually might be a requirement! You might want to attend some concerts at the schools you are looking into so that you can hear the quality of the ensembles and the students. It may seem like choosing an institution that you will attend for the next four years of your life is daunting. Well, it is! But it’s not the end all and be all! If you really do your homework to find out everything you can about the school, you will be able to make an educated decision. Be prepared and you won’t be sorry! Feel free to leave a comment below about your search for the right music school! 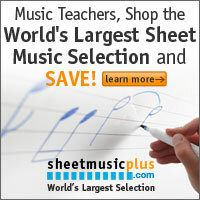 Tagged college music programs, find a music school. Bookmark the permalink. My wife has been looking for some private music classes for my son, and I think that your suggestion to take a test drive with different schools would be good. I think that knowing you’re going to be paying for something your kid will enjoy and benefit from is huge when looking for private music classes, and the teacher should have no issues with a test phase! I’m going to have to share that tip with my wife and see if we can get my son in for a few different private music lessons and see which ones he likes best! Thank you! I’m glad I came across your blog about choosing a music school. I agree with what you said about how most students go to school because they want to make music. My daughter loves to learn play piano, but she’s so shy to play solo. I want to support her with her passion, so I believe that learning if the school has the ensemble that she can perform with is important. I will make sure to contact a music school soon for my child. Thanks for sharing your article!